Last February I discovered these adorable faux earrings called EarZings. They are pierce-free and designed by a Mom. She wanted to satisfy her daughter who wanted her ears pierced, but as a Mom, she wasn’t ready to let her daughter do so. After some tinkering, this forward-thinking Mom created Earzings. 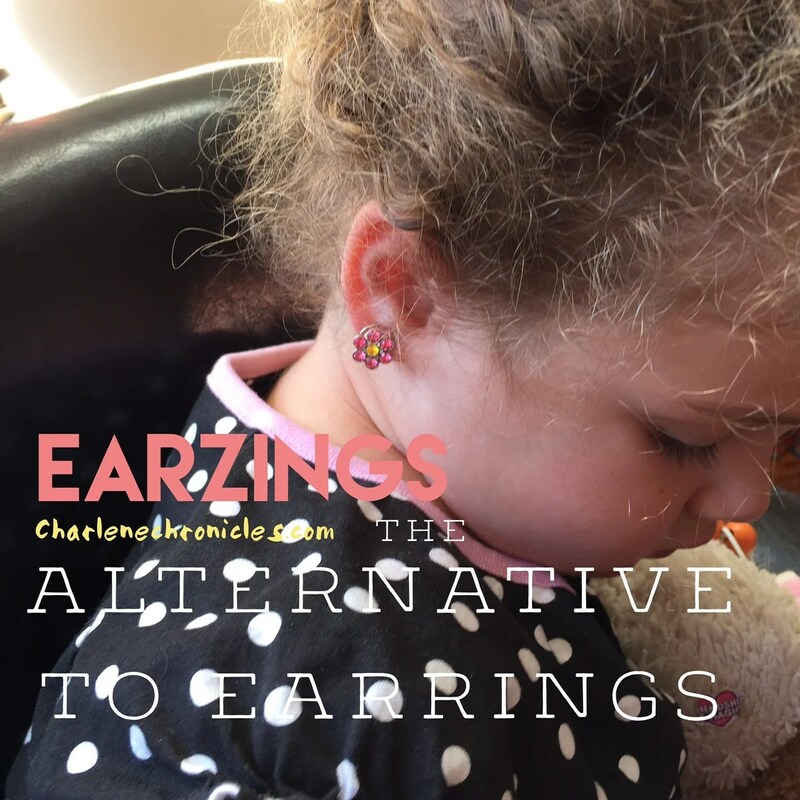 The EarZings are different from clip on earrings, which, based on personal experience, can get rather uncomfortable quickly. These have a coil clip system so you can just slide it over an earlobe and it acts like a soft spring to keep it comfortable (but stable) on little ears. However, it is also a great option for older adults who don’t want their ears pierced or if you wanted to look like you had more than basic pierced ears. You could clip it for doubled pierced ears or even as a trendy piercing on another part of your ear. EarZings are made in the USA and are lead free, nickel free, cadmium and other heavy metal free. They are also hypoallergenic. The other thing I like about them, is that the designs are sparkly and fun. When I got a complimentary pair, I have to admit, it was hard to part with them and give them to my daughter. Being the good Mom I am (LOL), I gave them to her and she adores her earrings – so she can be like Mommy. While most of the EarZings are designed to act as stud earrings, you can also get dangles to add for fun options and dressier occasions. You can find them at these brick and morter retailers for around $15 a pair. You can also find them on (affiliate link) Amazon .